Can an Apple Watch and an Android phone work together? If you ask Apple, the official answer is that the company’s watches are only compatible with select iPhone models, but the real answer goes a bit deeper. If you’re brave and don’t mind experimenting, there might be a way to cross the streams and use the two devices together. Can I Pair an Apple Watch With an Android Phone? The general answer is simply: no. You can’t pair an Android device with an Apple Watch and have the two work together over Bluetooth. If you attempt to pair the two devices as one would normally pair any other Bluetooth device, they will refuse to connect. However, if you're willing to play around with your gadgets, you can have the two devices working in semi-tandem. Depending on the model of Apple Watch, it might have an additional way to communicate beyond Bluetooth: LTE connectivity. 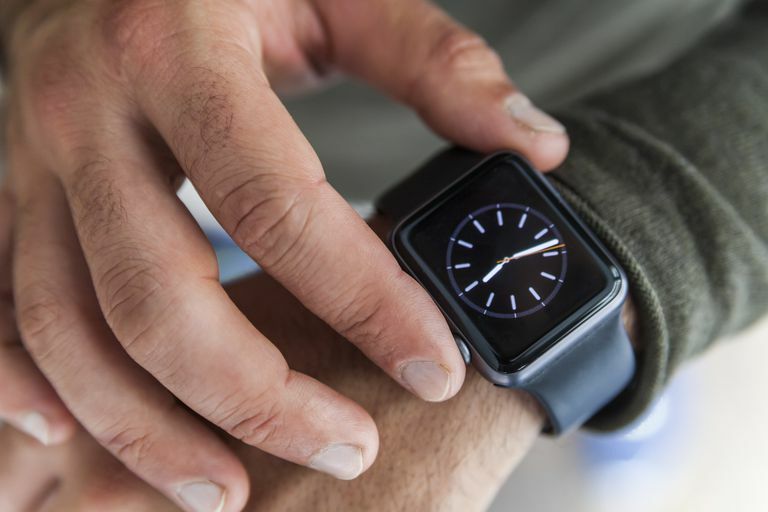 Apple offers higher-priced versions of their smartwatch that can stay connected, receive phone calls, and get messages, even when a standard Bluetooth connection with an iPhone is lost. These LTE Apple Watches utilize your carrier’s network to ensure they don’t disconnect if you go for a run or visit the store and leave your iPhone behind. This same feature allows us to take advantage of a loophole to achieve partial functionality, even if you have an Android device. What Functionality Can I Expect With an Android Phone? Your Apple Watch and its installed apps will be able to keep themselves updated over a cellular connection; select apps that require your iPhone may function in unexpected ways. Additionally, while you can send and receive phone calls, messaging can be a bit more cumbersome. iMessage, for example, tends to work with this setup, but standard text messages (SMS) fail; a significant problem since your Android device will typically want to send all messages as standard SMS texts. Since you won’t have access to an iPhone, you also won’t be able to keep your device and software suitably up to date. If you want to install a new app on your watch, you’ll also be out of luck because you need an iPhone to complete this function. What Do I Need to Get Started With This Project? A SIM card removal tool. If you're unsure whether the Apple devices you're using are unlocked or not, you can contact Apple or your carrier for more information. If you're unsure about your Android device, we still recommend contacting your carrier. You also need to be on a cellular network that supports usage of the Apple Watch. In the United States, this includes AT&T, T-Mobile, Sprint, and Verizon. Ensure that your Apple Watch is correctly set up and configured with your selected iPhone device. For more information, be sure to check out our article on setting up an Apple Watch for the first time. Unfortunately, you'll need to start with an iPhone to set up the Apple Watch and connect it to your carrier’s LTE network. Once your Apple Watch is ready, proceed with the steps below. Turn off your iPhone, Android phone, and Apple Watch. Use the SIM card tool (or something suitable like a paperclip) to remove your SIM card from your iPhone. Place your iPhone SIM card into your Android phone and then turn it on. Once your Android phone has powered on and is connected to your cell carrier’s network, power on the Apple Watch. You should now see your Android device is connected to your carrier as usual and that your Apple Watch is also connected. Now you can begin receiving calls and more on your Apple Watch, despite having an Android phone as your primary device. What Exactly Is Happening With My iPhone and Android Phone? Your two devices aren’t actually communicating with one another; from a technical perspective, they're still wholly incompatible. However, setting up your Watch with LTE means it no longer needs to use an iPhone to complete some of its primary functions. Be prepared to see a loss in functionality, and the constant use of LTE will drain your Apple Watch battery faster than usual. While it's a fun experiment overall, if you love Android, you're better off picking up a dedicated smartwatch that's compatible with your phone.